Horizen (ZenCash) is a privacy-oriented cryptocurrency and a leading-edge technology platform. They are connected to many crypto-payment providers and are constantly adding more, encouraging mass adoption of their platform. The sidechains will enable anyone to build privacy-based applications, allowing anyone to bring thousands of real-life services to the world. 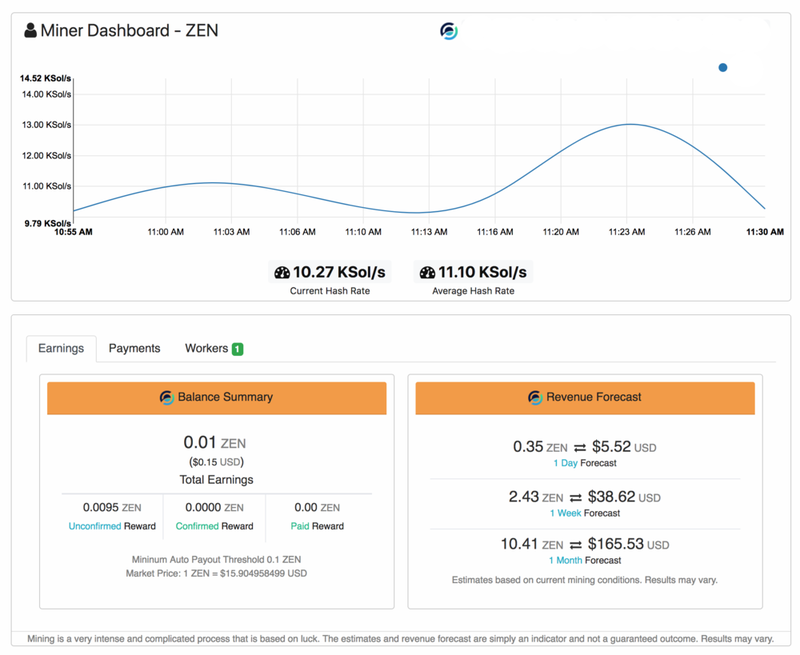 low 0.5% pool fee, auto payout 0.1 ZEN and excellent support. To get started, navigate to your dashboard by finding your miners’ IP address using your router or scanner. Your page will look something like this: ( default u/p is root/root ) “make sure to change your password after you log in. For the other nodes (Pool 2 and Pool 3), feel free to use any of the other region nodes, such as eu1.zhash.pro:3059 or asia1.zhash.pro:3059. How to OverClock your miner? OverClocking can result in damage of your miner, do it at your own risk. Always monitor the temperature of your miner so it doesn’t overheat.